Do you need an AR-15 holster? 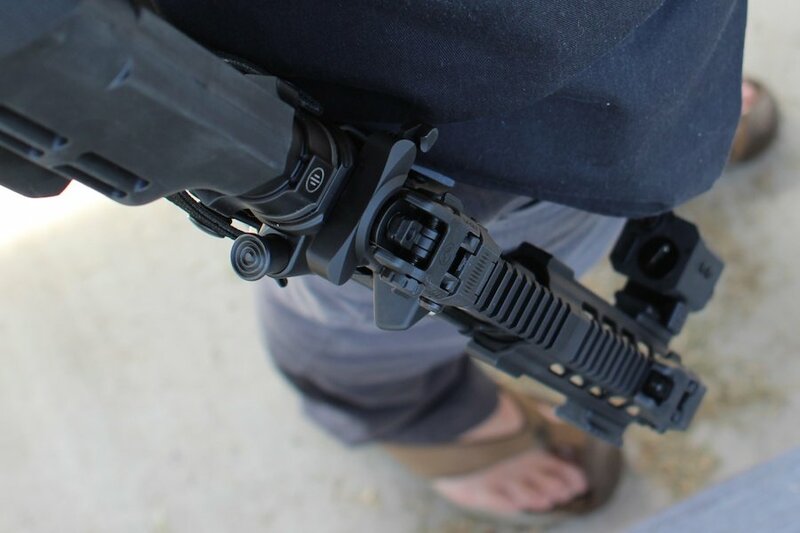 pa2a.org » The Armory » Gear & Accessories » Do you need an AR-15 holster? Quote: This is one of those odd-ball entries into our growing library of gear reviews that I wasn’t sure I’d like to well. It is a holster, but one made for AR-15 style rifles and pistols. Before I saw the holster, I wasn’t even aware that I needed one of these things. But now I’m sold. There is a time and a place for an AR holster, and the SARRP from Redline Pro Gear works. Better have one hell of a belt. You have concealed carry, you have open carry....this must be "The Starbucks Carry". (02-18-2015, 10:55 AM)streaker69 Wrote: Better have one hell of a belt. Surely with a quality gun belt anybody serious about self defense could carry like that call day without even knowing it was there. Anybody who says otherwise is just doing it wrong. streaker69;161940 Wrote: Better have one hell of a belt. Why would a good belt matter to you? Don't the Amish wear suspenders anyway? Ever try to discipline a child with suspenders? Mr_Gixxer;161944 Wrote: Why would a good belt matter to you? Don't the Amish wear suspenders anyway? Hang yea man, they're elastic and have a hard tip on the end that only compares to a whip. They even have two straps, you can do two kids at once! Flip-Flops and an AR, how adorable. pinhead1979;161951 Wrote: Flip-Flops and an AR, how adorable. Bet your bottom Dollar that they are the Tacti-Cool kind for hot weather and mall !